I believe that the struggle for Food Sovereignty is captured in the latter part of the proverb. Food Sovereignty is a lasting global solution for how we should relate with nature and people as we feed ourselves. It is a struggle that requires alliances for fully recognizing and realizing peasants’ rights, and achieving social, economic and ecological equity and equality. This can only be done through collectiveness, in alliance across movements, regions, cultures and genders to ensure global solidarity and effect real change. To build and realise Food Sovereignty, it is imperative to work and engage with others — peasants, indigenous people, fisherfolk, women, men, progressive researchers, consumers, etc. — to rethink ways and means of farming and mobilisation. By sharing ideas and generating knowledge, we are able to shape a society based on justice and solidarity, build healthy, inclusive communities, and improve social integration and cohesion. 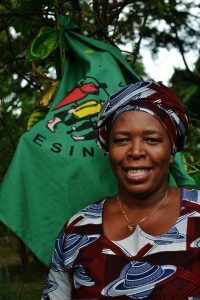 La Via Campesina recognizes the importance of alliances and we have joined hands with other social movements and organizations to push for Food Sovereignty in many national and international spaces. As a result, Food Sovereignty is included in some policies, enshrined in constitutions by some countries, while in others, debates continue on what to adopt. Today, Food Sovereignty is a living concept because of continuing alliance work. It is the struggle for local food systems based on agroecology; access to local markets; access to and control over productive resources such as land, water, seeds, etc; recognition of peasant rights; and resistance to industrial agriculture, Free Trade Agreements (FTAs) and Transnational Corporations (TNCs). *This article first appeared in the most recent Nyeleni newsletter, which marked the tenth anniversary of the historic International Forum on Food Sovereignty that was held Mali in 2007.